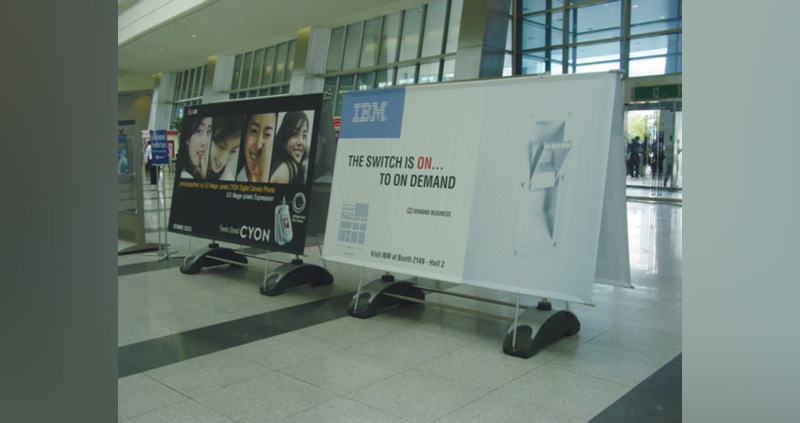 There can be no denying that the jumbo outdoor display is big – it is variable in size up to 2.5m wide and 2m high! 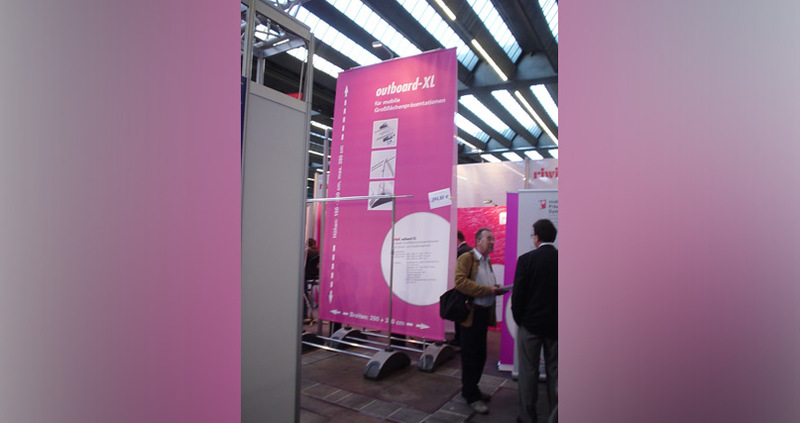 Imagine putting two displays side by side – that’s an incredible 5m worth of your business’ message, highly visible and easily readable! 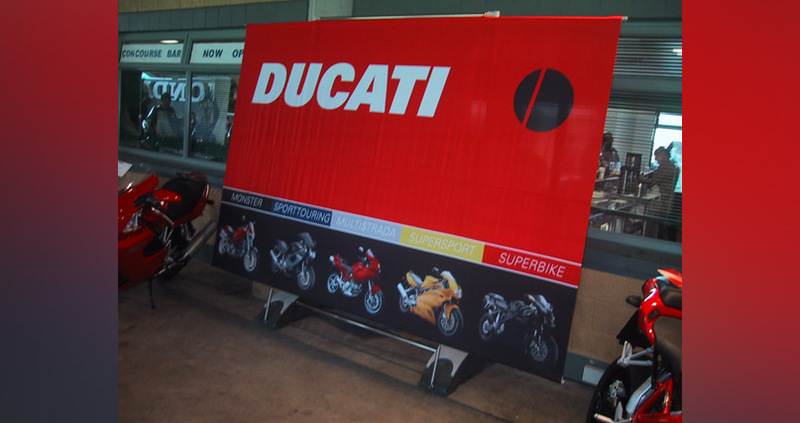 The graphics for our jumbo displays are printed using an opaque Digitex synthetic canvas fabric in full colour, ensuring that everyone will take notice of your brand. The graphics are quick and easy to load onto the patented spring tensioning system for your convenience. One of the main concerns surrounding this display is that it’s difficult to transport – this, however, is not the case! The display is incredibly lightweight and, when stored in the supplied carry case, will only weigh about 18kg – one or two people will be able to move it with ease. How is the display secured to the ground? The jumbo outdoor display comes with a sturdy base that is filled with water to ensure it doesn’t get knocked or blown over. Please note that, when the base is filled with water, it will weigh close to 60kg. Can these banners be double-sided or are they single-sided only? The jumbo can be single- or double-sided, the choice is yours. Even if you have two graphics for the stand, you only have to use one if this is more appropriate for the event. 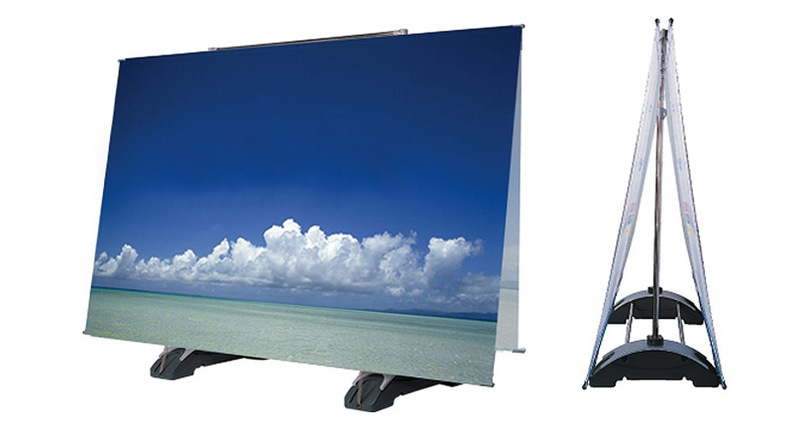 Our jumbo displays come with a lifetime warranty against manufacturing defects for your peace of mind.